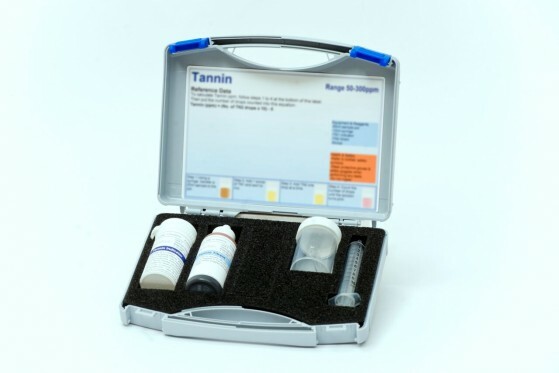 Our Tannin kit includes all the equipment & reagents required to measure Tannin levels between the range of 50-300ppm. The kit includes a sample pot and syringe to perform the tests. Replacement reagents can be bought separately or in Reagent Packs at a discount. Places to monitor Tannin: Commonly used in Boiler Water Treatment. If you want to use it in a Boiler Water systems have a look at our Engineers Test Kits we also have available in our Engineers System Specific Test Kits section. The following are some chemical products that can be tested using our Nitrite Test Kit. Our Test Kits can be ordered individually or in bulk. They can be delivered alongside your WTP Chemicals order saving you additional delivery charges. Next working day delivery only £8.49 (up to 20kg); mainland UK only.